“The latest tourism numbers are encouraging but with a significant number of tourism jobs lost under the OBA’s watch, PR & election year spin about a new ‘buzz’ about Bermuda that isn’t translating into new jobs is little comfort to the thousands that remain unemployed,” Shadow Minister of Tourism Jamahl Simmons said. Mr Simmons said, “Since the BTA was established, Bermuda has experienced 48 and 49-year lows in air arrivals and in response the PLP pushed for an increased marketing budget to boost interest in Bermuda. “We also called for a change from the nostalgia tourism approach sought by the OBA, BTA Chairman and former BTA CEO to win back our traditional visitor, to one that embraced a younger, more diverse and more cosmopolitan audience. That message seems to have been received, yet much work remains to be done. 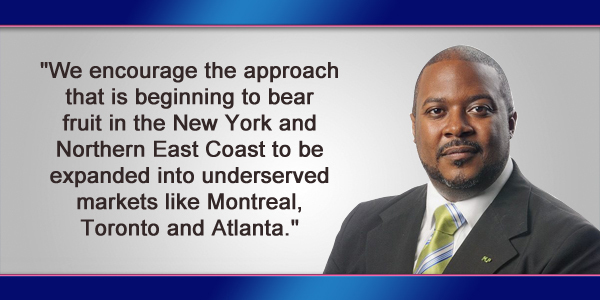 “First, we encourage the approach that is beginning to bear fruit in the New York and Northern East Coast to be expanded into underserved markets like Montreal, Toronto and Atlanta. Leisure spending up $40.9 million in 2016. Does the shadow really want us to believe that actual increase in economic activity directly related to tourism did not include hiring more people to handle that new activity? I wondered what angle he might try with all the data going against him. This is a pathetically weak effort. nearly is not the right word Wayne Furbert and the PLP murdered our Tourism marketing ….lets see cruise ships asked for concessions PLP refused them …their thinking .cruise had to come to Bermuda …really ..lets spend millions at the Mets stadium …why so the 10,ooo that go watch a lousy baseball team can associate Bermuda with them …great ploy Furbert …no wait he got to sing the US national anthem ….There isn’t a marketing brain anywhere in the PLP so please go away let Bermuda sell itself with some real marketing strategy learn from the smart people the BTA have . @Warlord, I was thinking, “you can fool some people sometime but you cant fool all the people all the time” might be more appropriate. Nice try. South P has increased staffing levels by about 120 colleagues over the last few years. Jamahl, you ain’t done your homework…..or read the entire report. This is the PLP attempt to rewrite the last decade of tourism history in Bermuda, omitting such facts as that was one of the earliest strategies the BTA sought as they promoted an adventure tourism and sports tourism market. Instead replacing it with the suggestion that the PLP thought of it first. But only thought to mention or platform it after the BTA were well under way. Alternative facts and now alternative history that all of problems only started after the OBA was elected. These are the tactics of extremity ideological parties, select what parts of the truth suits your narrative and deny the rest exist as fake news. I wish, he knew what he was talking about. I am just embarrassed for him. Politricks at its best. Mr. Simmons please present you plan to invigorate tourism and get a 17% increase for a year. Also what are you talking about Montreal, Toronto, Atlanta? If you knew anything at all the Canadian market has been hard by their weak dollar and Canadians have chosen to vacation within their own country because of it. The decline in the Canadian tourist is seen throughout the tourism industry, one only needs to do a google search, this is called research. I would recommend you try this before you speak on the “things you know”. Atlanta does have marketing support though there is significantly less flights out of that area. You fish where the fish are, and oh look it seems to be working. Also another fact you may want to know is that the North East segment holds most of the top wealth in the USA. So yes it would make sense to market to places where there is 1 Growth potential, 2 the consumer has the ability to pay , and 3 has numerous direct flights. I saw congratulations to Bermuda and the BTA on this and Mr. Simmons, stick to your day job, what ever that is! I guess he got his education in Tourism from his fellow Tourism expert friend Mr. Wayne Furbert. Saying something for the sake of saying something. Does he have any ideas of how we can reduce healthcare cost which are amongst the highest in the world? Agree! Pure rubbish out of their mouths. The PLP had and have no clue how to run this country. Were seeing positive results under the OBA. So mr Simmons are you proposing that the government fund air flights in some way? I am not sure this is a good idea. It is expensive when you get here so Bermuda can only attract the well heeled upscale visitor who is not going to be put off by the flight cost. Similar results to Global Hue!! Oh never mind. More hot air from Mr,Simmons. Sometimes thing are better left unsaid. Somehow that seems inconsistent with the fact that 2016 was our best tourism year since 2007. Also, we have tried many times to expand our appeal to Canada and the south-eastern US as well as Europe. The one thing we have learned, or should have learned, is that the north-eastern US is our tourism foundation and it must not be ignored or taken for granted. Did Jamal run his opinion by his handler, Ewart Brown? Didn’t Ewart spend his time as Tourism Minister trying to lure tourists from India? He sure didn’t focus on the northeast… maybe Jamal should watch his step. The flock had shrunk at last count. It’s all coming out.?! What’s going on with Commission of Inquiry? A lot of lawyers fees. But? Hmm..Nothing to hide?? Go away plp, nobody values your opinions . I dunno, maybe ‘well done’ would be a start? Quick. Somebody start a new political party so he can join that one as well. Please keep this guy away from Tourism….or anything to do with my money paid in taxes to the Government of Bermuda. Clueless.